The Metro Council voted unanimously Wednesday night to appoint City Prosecutor Andy Dotson as interim parish attorney, replacing Lea Anne Batson who resigned Tuesday ahead of a council vote on her termination hearing. Dotson was slated to be Batson’s choice to replace her outgoing first assistant, Tedrick Knightshead, and council members agreed he would be a suitable short-term replacement to keep the parish attorney’s office running smoothly amid the leadership shuffle. The council doesn’t have a permanent replacement in mind yet, Green says, adding that she hasn’t determined whether Dotson would be interested. Dotson has worked in the parish attorney’s office for nine years, serving as city prosecutor for the past four years. He could not be reached for comment by this morning’s deadline. Batson’s resignation came one day before the Metro Council was scheduled to vote on whether to hold a hearing to remove her from the parish attorney seat. 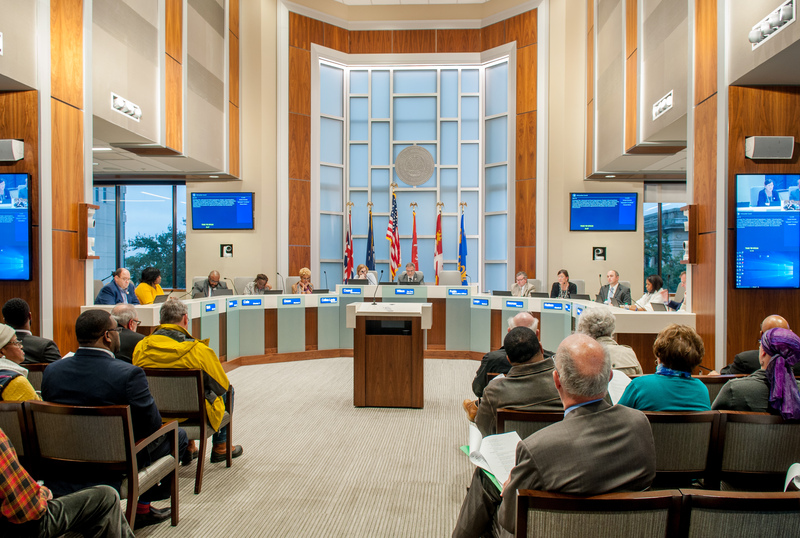 It still remains unclear what was behind the effort to remove Batson, and council members did not push the issue Wednesday night. Councilman LaMont Cole, who requested her termination hearing, remains tight-lipped on the matter. Meanwhile, the public remains essentially in the dark on what led to the turn of events, driving Batson out of her position.